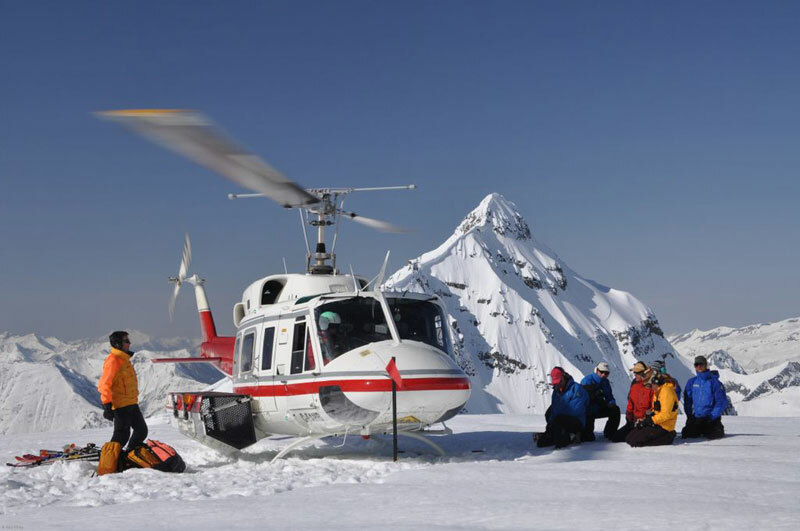 As the most experienced heli-ski operator, CMH sets the bar world-wide for heli-ski holidays and has the most experienced guiding team in the world. With 11 unique mountain lodges, and a great variety of different programmes, CMH has countless trips to suit all levels of experience. A young Austrian ski guide by the name of Hans Gmoser pioneered heli-skiing in the Bugaboos back in the 1960s. Hans had a love of the mountains and it was his desire to share that with as many people as possible that drove him to develop heli-skiing as a business. Since then CMH have been leading the way in heli-skiing operations and where this experience counts most is on the safety aspect. CMH has the largest and most experienced guiding team in the world with 160 full-time and an average of 15 years of experience working for the company. The Selkirk and Columbia mountains in British Columbia are widely regarded as being the heart of Canada’s heli-skiing terrain, and Hans Gmoser (who founded CMH) was the first person to explore the region for heli-skiing. As he was there first, he was able to pick out all of the best tenures suited to heli-skiing. CMH can therefore boast 11 heli-ski areas which offer a brilliant mix of tree skiing and high alpine skiing. The tree skiing is a seriously important element as it allows for skiing in almost all weather, meaning that CMH only has an average of half a down day per week. The other fantastic thing about CMH is that they offer the biggest choice of trips meaning that whatever you are after they can offer you something that suits. These include Steep Camps for those looking for the ultimate thrill, small group heli-skiing, heli-touring trips, and first timer trips. For example, The Powder Introduction programmes are special trips designed for piste skiers who do not have much experience of powder skiing. On these trips you would be in a like-minded group of 10 skiers, with 2 mountain guides. The focus would be in helping you develop your powder skiing technique and giving you confidence to ski the powder. 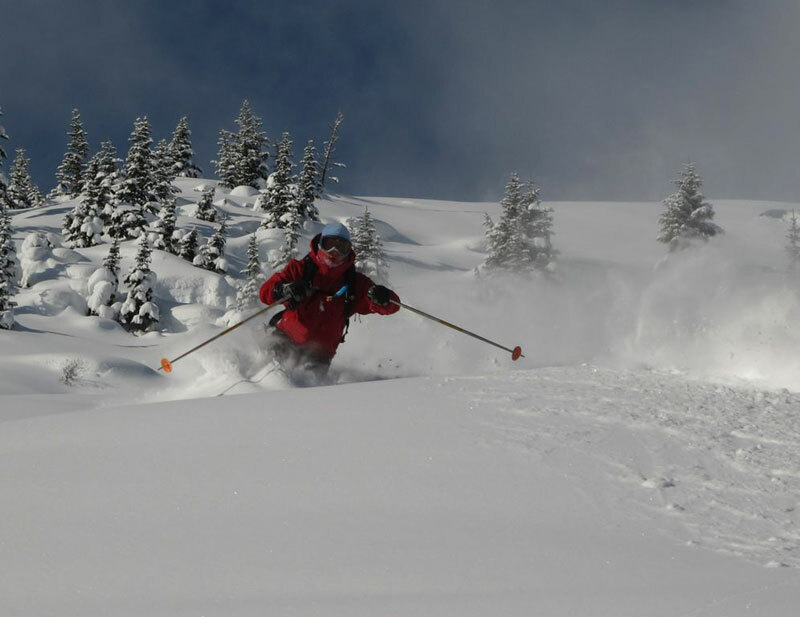 Powder Masters trips are also available for those more senior experiences skiers who value quality over quantity. Despite being the biggest operator one of CMH’s biggest selling points is the incredible atmosphere generated in the lodges. Described as ‘Huttenzauber’ or ‘hut magic’ this is the unique and warm atmosphere that the CMH lodges evoke, due to the incredible staff and like-minded nature of the guests. 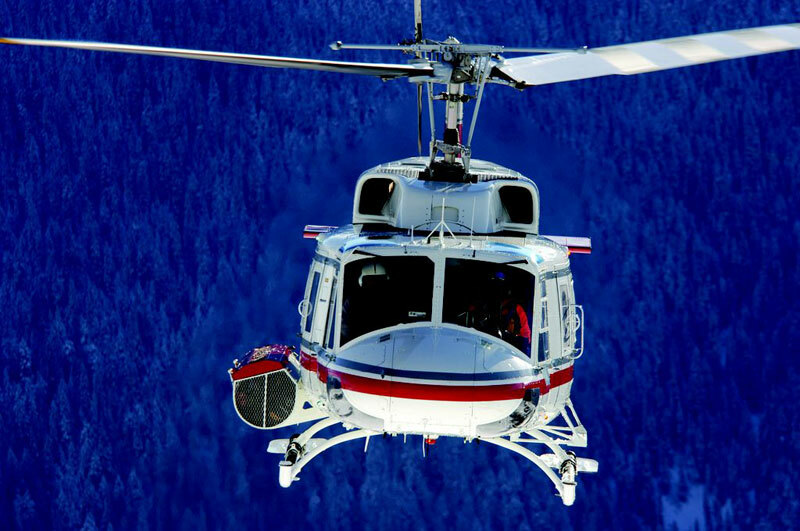 Pure Powder are the UK’s most experienced Heli-Ski specialist with over 35 years of experience. They are the exclusive UK representatives for CMH Heli-Skiing, and organise more heli-skiing trips than everybody else in the UK put together.